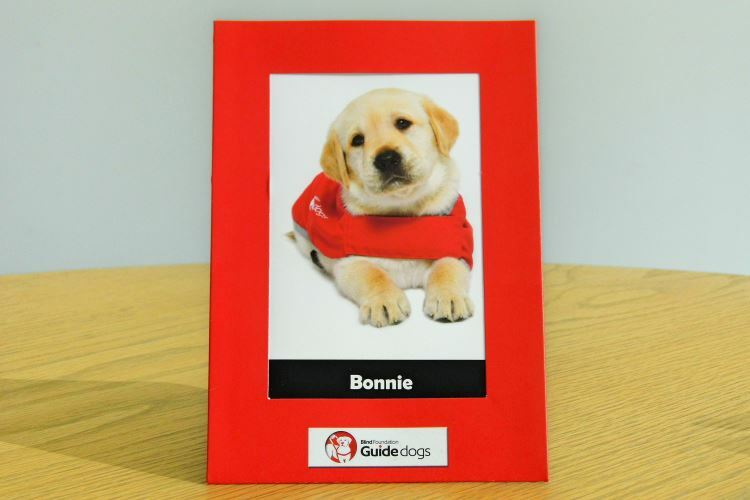 As a Red Puppy Sponsor, we support the Blind Foundation’s guide dog training programme, which offers independence and freedom for Kiwi's who are blind or have low vision. Every Blind Foundation guide dog is a life-changing companion for Kiwi’s who are blind or have low vision. After two years of rigorous training, they can help their handlers complete everyday tasks and negotiate common hazards with ease. With help from SCOUTS New Zealand, we plant one native tree for every full shipping container we export. We call it Trees for Containers (T4C), a unique programme that offsets carbon emissions and reclaims native wilderness areas. She might be small (and possibly the world's cutest Labrador puppy), but Bonnie will someday grow up to become a fully trained Blind Foundation guide dog. She's one of two 'pupstars' we’re sponsored since becoming a Red Puppy Sponsor in 2017. Bonnie was born in late January at our breeding centre in Auckland. And after a few weeks of being cared for by Mum Venice, it was time for Bonnie and her brothers and sisters to get out and experience the big wide world. Taking advantage of the breeding centre’s interactive play rooms and play areas, Bonnie was able to start to develop some of the confidence and physical skills of a puppy guide dog. She’s learning to wear her red coat and collar comfortably, so that when she does get out and about, people will know she’s a guide dog in training. Your generosity has given Bonnie the best possible start in life. With your continued support, she hopes to one day take on the role of a guide dog. Bonnie can’t do it without you. Thank you so much. Here's a look at what happens behind the scenes during guide dog training.